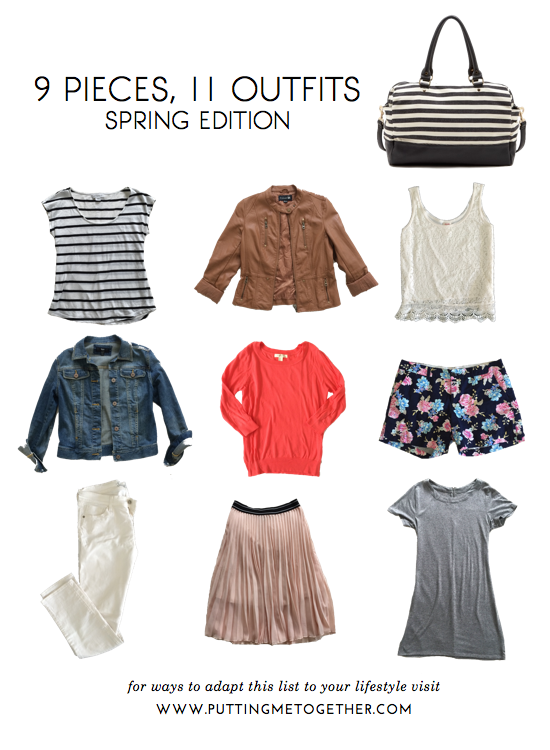 After the capsule wardrobe / fall packing lists (found HERE), I’ve gotten tons of requests for spring versions. I make the fall ones because I’m usually on a long trip for Thanksgiving, while my spring trips tend to be at campgrounds and not worth mixing and matching efforts. 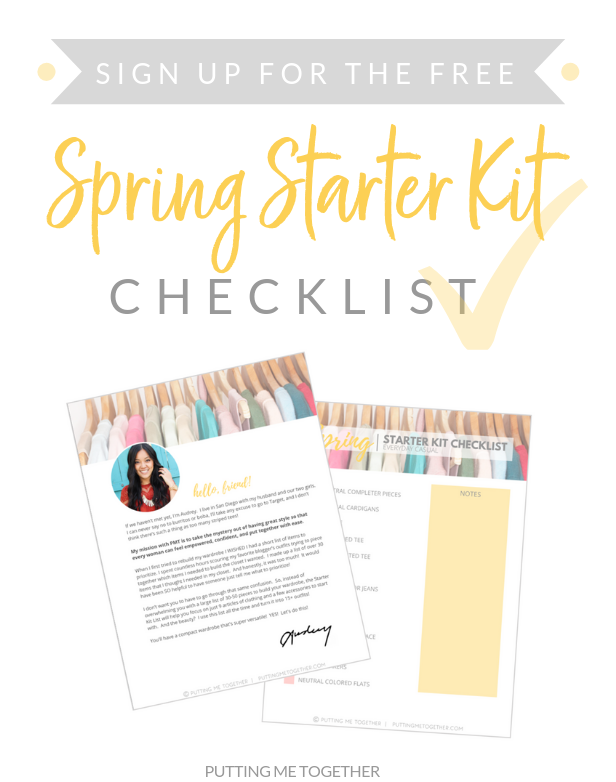 While I’ve done a couple of smaller capsule wardrobe packing help posts for warmer weather listed on that page, like 7 Pieces 7 Outfits I’ve finally got a spring packing list for ya! Some of you had heart eyes about this duffel on Instagram. It’s stripes! What’s not to love?! I don’t usually use duffel bags as my primary bag on flights since I’d prefer rolling my luggage through the airport, but as an extra bag or for road trips I think they’re a lot less bulky. This Sole Society striped duffel bag is adorable, comes with 3 large interior pockets, and two external pockets. 1 dress – neutral, patterned, colored or whatever. As long as it goes with at least 1 of your completer pieces. If all 3 of your bottoms are solids, you could do more patterned tops. And vice versa. I’m indecisive about whether or not to count shoes in the numbers, but I usually try to limit my shoes to two pairs regardless, and usually neutral shoes. Shoes take up way more space in my suitcase than adding more shirts, so those are the worst culprits of all, in my opinion! 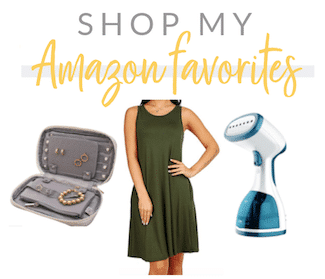 In this case, I chose my sparkly sandals from Target for casual outfits and my two-toned Naturalizer Dahnny for slightly dressier looks. I like the Dahnny because they toggle the line between casual and dressier. (The kind of dressy you do when you’re on vacation, anyway.) I also played around with white sneakers in exchange for the glitter sandals, and they would totally work with all of the flat sandal looks. I tried to have a mix of casual and slightly dressier outfits for spring vacations and chose pieces that allowed some flexibility with the weather. I used 4 different necklaces, though you could get away with just one or two. Based on past questions and comments, I thought I’d make something clear: I would not use a list with 11 outfits for an 11 day trip. I wouldn’t max out my options like that. I would use this for closer to a 7 day trip. I wouldn’t want to worry about things like the weather not working out properly for each outfit in my arsenal. Like, I have 3 outfits with shorts here. What if my weather app was wrong while I was packing and it turned out to be too cold for shorts during my entire trip? Also, I wouldn’t want to worry about needing to wash clothes. See HERE for more One Piece Many Ways posts. Where are the necklaces from? So many great pieces and ideas, thanks! Great ideas! I've been scouting out a pair of floral shorts! You really are so talented at being able to put together these flawless outfits! Thank you for sharing these great ideas. We're headed to Panama City Beach in May for five days, and this will be perfect. Thanks again! btw – This may be the first time I've said "hey! ", but I've been a reader for a while and think your site is just great! I love the idea of packing light and remixing on a trip but I can't get past one thing. Please help me as it will make my life a whole lot easier. If only taking a few items with the intent to re wear them how do you handle more rigorous activity? I usually sweat while doing things on vacation leaving my clothes less than fresh. As a mom, chances are something will be spilled on me at some point? I really LOVE this post of yours! I am currently getting ready to go through my closet and re-think my wardrobe. 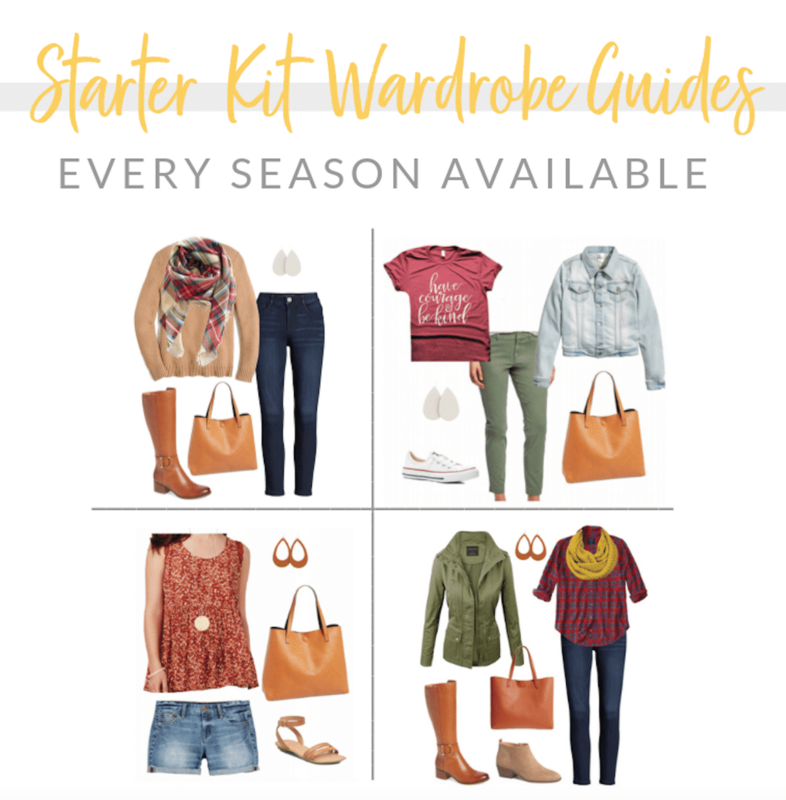 This helps in even making a more minimalistic wardrobe, and for not overpacking for a trip 🙂 It really helps to see how you can make 11 outfits out of just 9 pieces! Thanks for sharing! The teal one is from Nordstrom 3+ years ago, yellow pendant is Old Navy a couple years ago, pink one is H&M a couple years ago, and the yellow statement is from Carrie Grace's Necklace Club, but it's not sold in her shop. Thanks so much, Erica! And also, thank you for saying hi. Sounds like a fun trip! I started packing mix and match outfits because a few years ago I packed for Thanksgiving in such a way that I only packed outfits, but none of the clothes went with each other apart from the outfit I chose it for. When I got to my destination I no longer wanted to wear some of the outfits, or they didn't fit for some activities I hadn't anticipated, and I was stuck without any other options. For me these are more about the ability to have options without having to pack separate clothes for, say, 11 different outfits (22+ pieces). If I were going hiking or to Florida where I know I'd sweat a lot, I would pack more items–probably a couple more tops since they don't take up as much room as bottoms for me. That's just the reality of the situation and you've gotta pack what you need for your trip without worrying about whether you're being minimalistic enough. Glad to hear that, Becky! 🙂 Good luck with your wardrobe revamp! I'm definitely glad I purchased the floral shorts! Noooo, Sarah, you can do it too! Though, it did take me a lot of time. A LOT. But back when I started there weren't a lot of blogs telling you how to create one (which is why I started mine.) 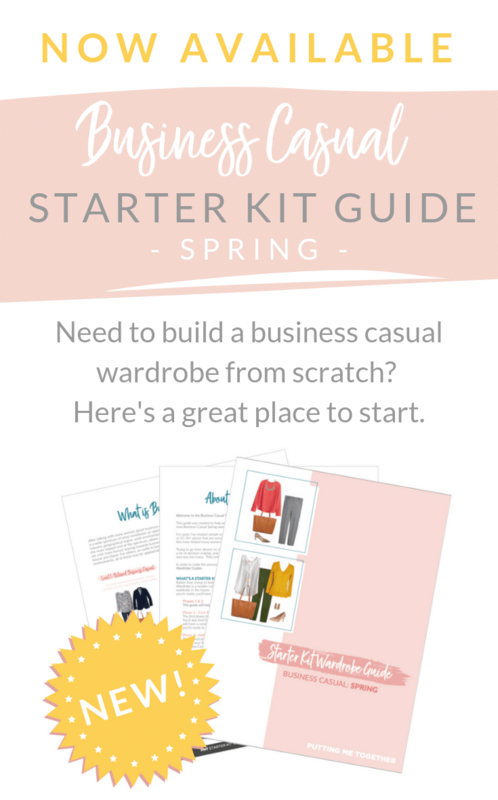 When I first started blogging almost 4 years ago I couldn't mix and match anything I had. I started slowly adding piece by piece–mostly basics because my closet was totally lacking them. And a couple of bottoms that were not regular blue jeans since I had like 5 pairs of those. Start with some solid bottoms (skirts or jeans or slacks) in a couple of different colors and it'll change your wardrobe so much! Yep, I'm with ya. I've been scoping those out. I'm more of a 5" inseam gal, too. That does help. Its not just about re mixing but truly coordinating so that you can use any items that are able to be re worn. I love all these pieces but where did you get the floral tee in the top photo?! And Buttercup is my favorite PPG! Hi Kimberly! Teal – Nordstrom, Pink – H&M, Yellow Pendant – Old Navy (all 2-3 years ago). Yellow statement – Carrie Grace's necklace club (given to me by a friend) http://www.carolinegshop.com/product/2015-necklace-club but it's not sold in her shop. You never cease to amaze me! I just got donated and then stored a bunch of clothes (thanks to you and un-fancy.com) and am totally overwhelmed at trying to make my wardrobe remixable on a small budget, but I've been reading your blog for years and am determined to do it! 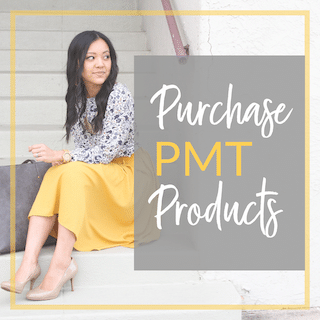 This post makes me want to buy all of those items, I love your style and it works great for my work situation! Love this! Thanks for posting! You always come up with such great outfits and pieces to pair together. Thanks so much! They are cute. The one on the coral top and floral shorts – is that from Old Navy? Coral top with floral shorts? That's the pink one from H&M. i really love this collection, and interesting that you say this is not for 11 days. perhaps that's my problem when i pack a collection, i need to pack for a few extra in case days. thanks! You are officially a genius! 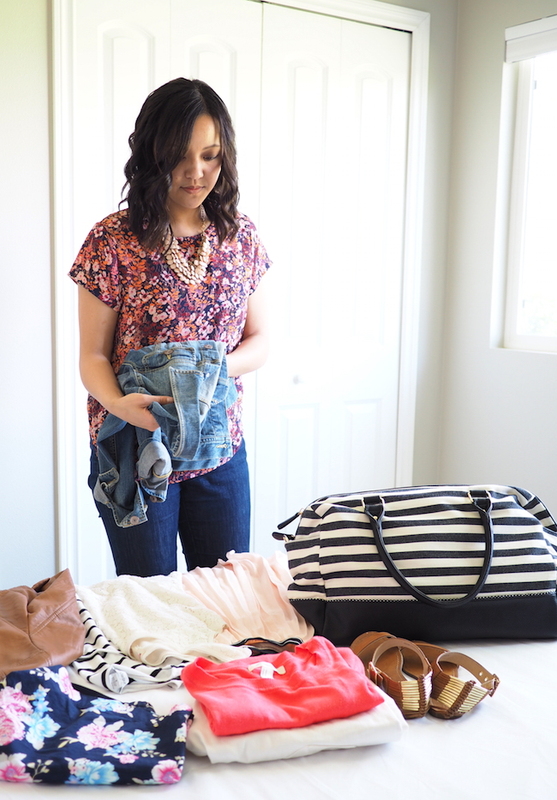 I am going home for a long weekend and this is going to be my packing guide! LOVE. So much springy pretty here, and remixing at its finest. I love the variety of dressing up/dressing down that can be done with these… now for some weather to wear the outfits in. Love this so much. Thank you for posting. Gonna try to get that polka dot dress from Instagram after work today. This would be a great packing list for my Orlando trip. You are the best. I don't think I've commented before but love your site! I am heading to Florida in May for a week and am really going to try packing as you suggest…I just have such a hard time! I always over pack and can't decide what I will feel like wearing when I get to my destination! Thanks for the inspiration! 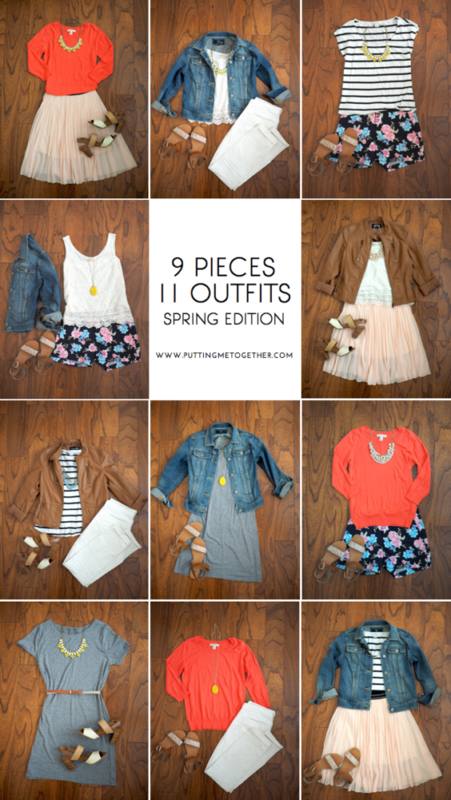 I LOVE this Audrey – I'm fascinated by all capsule packing posts like this but these outfits are really my style. 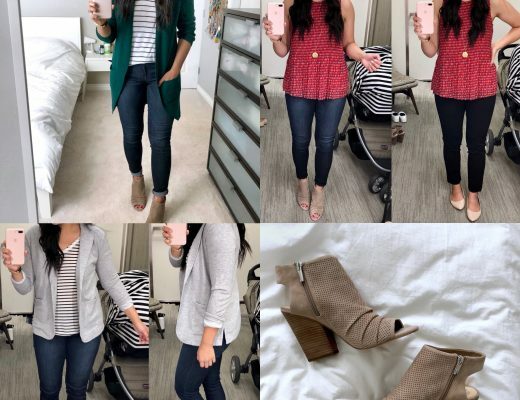 I'm starting my 2nd trimester and have some trips upcoming this summer, so I'm going to combine these looks with your maternity capsule wardrobe post and try to really get some remixing bang for my buck with the pieces I buy! Thanks for this! You are amazing! I love your blog! I like this idea to visual my options before a trip. I am horrible at packing and never bring anything that matches over than all black & white. This, is great, Audrey! We just spent several days in Washington, DC and the weather was waaaay colder than I'd anticipated so I had to "recycle" quite a lot of items…thank goodness I'd packed many versatile pieces and enough to get by, not just for me but for our children as well. Extras were also a lifesaver when the stomach bug hit, ugh. 🙁 Anyhoo, thank you for taking the time to write these posts- they really help! Great post! I definitely need to do this as I'm constantly spending so much money on clothes that I can only wear the once with one thing! I'm about to head to Sacramento next week to visit with my family, and this is giving me lots of packing inspiration! I'm the worst about over-packing and then shopping too, which leaves me with way, way too many items! Amazing – thank you for this, such a valuable tool to use since I ALWAYS overpack. Whew! I feel relieved FOR you, just hearing about the trip and how the way you packed saved you guys. Way to go! YES, you need to get some colored bottoms! If not jeans, then skirts. Those seem to be less scary or more acceptable in color for some reason. Glad to hear that, Lauren! And good luck with the maternity capsule! Thanks for writing, Jan! Have fun in Florida! I would pack a few extra tops (that go with at least 2 out of the 3 bottoms I chose) because Florida is MUGGY and you'll sweat. Unless, of course, you have access to a washer/dryer. Then you don't have to worry about that I guess! I think you can totally do it on a small budget, but it'll just take more time and patience. Good luck, Samantha! Great tips! You make it look so easy! Audrey, You're an inspiration to so many. You brighten up my day with your creativity. I am one who typically wears teeshirt and jeans mostly bc I have a little one too. Thanks so much for all your hard work!! Great outfits! I like to pack things that can mix and match with each other, too. A lot of times I'll pick a few basic colors and stick to those to help with that. Thanks for the ideas! I love that bag! Those stripes are amazing. Do you find that it's a good enough size for a 7-day trip like this? It seems like those interior divisions might make it difficult to fit everything in there. How do you decide which accessories to take. I always end up with WAY too many. What do you mean about the interior divisions? There are only pockets, not actual divisions. And for a 7-day trip…I could pack all these items, which I'd take on a 7 day trip. Just depends how many shoes or hair tools you're packing! I try to limit it to a small zip lock bag size. And I usually choose the clothes along some sort of color palette. Here it was a lot of white and coral, so yellow or teal accessories worked with all the items. I took a cruise in December, and since we had to fly to our port of departure, hubby requested that I pack as light as possible. Thanks to all your posts like this, I was able to plan a great vacation wardrobe, and I never felt like I had nothing to wear. You're awesome! That is SO AWESOME to hear, Lisa! Seriously!! Thank you for sharing that! I just recently discovered your blog and I am so in love! 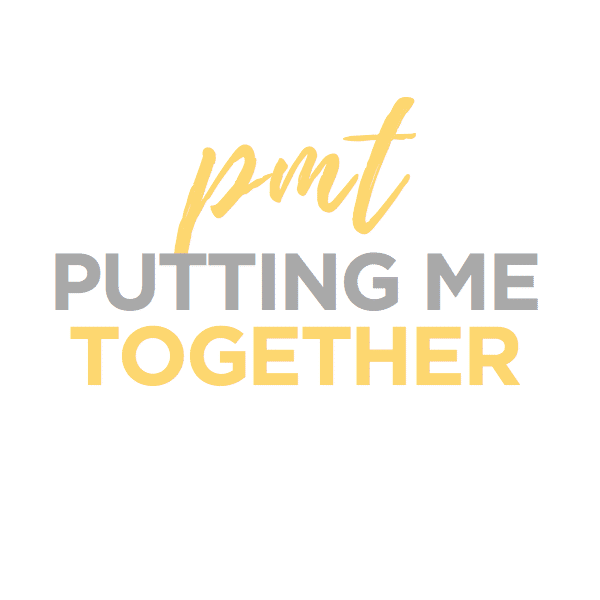 Thank you so much for pouring so much time and heart into blogging! This might be a silly question but I'm in love with your two-toned Naturalizer's you show here. But, I have weirdly weak ankles and zero balance skills haha. Are these pretty easy to walk in? Hi am a recently divorce teacher age 53.but I feel 36 .I don't have much money to spend. So I have to add style to what I already have.body type even portion. Tall 5ft 11.